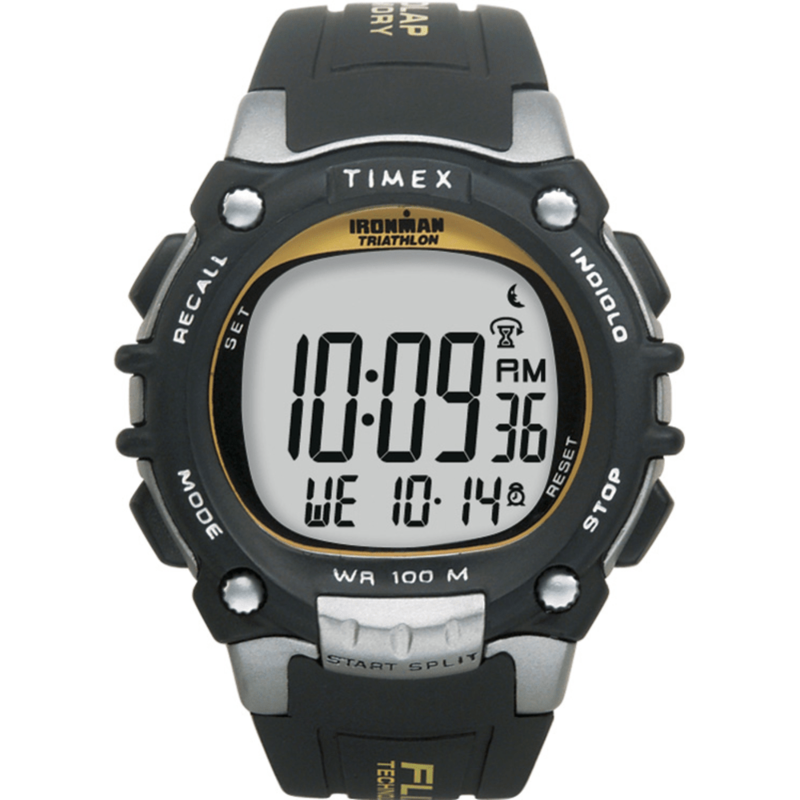 Keep your sports training focused with the stylish Timex Ironman Triathlon multi-function, performance sport digital watch, which features a dark gray resin top ring sitting upon a metallic silver case and top pusher for easy access to split and lap times. Sport timing features include a 100-hour chronograph with lap or split option, 100-lap memory recall, 199 lap counter, on-the-fly recall of lap or split and interval timers settable up to 24 hours (9 timers with countdown/stop and countdown/repeat). The training log stores workouts by date, with best lap, average lap and total segment time and the total run format/synchro timer maintains total activity time (less time paused during workout and overall running time). Other features include two time zones, built-in setting reminders, water resistance to 100 meters and a black resin strap. This product will be shipped directly from Liberty Mountain and will leave their warehouse in 2-3 business days.